O I love owls and polka dots. It couldn't be any cuter! I have been obsessed with owls for about 6 years; ever since my husband's grandmother died and left a huge collection. So far I've been very picky on how many I actually own because I don't want to look crazy! Happy Birthday! I turned 31 this year too, and it's been great so far. Happy 31st Birthday! I hope your day is FULL of FUN and SURPRISES, SMILES and LAUGHTER, SUNSHINE and RAINBOWS, JOY and LOVE! CHEERS! I must have that OWL print! Just want to say happy birthday. Hope you'll be more crafty. Someone should sew YOU a bag for your birthday!! I love reading your blog...it's very inspiring to me:) Happy Birthday!! My sister would LOVE this bag. I'll give it to her if I win. Thanks for giving on your birthday. And HAPPY BIRTHDAY! Happy Birthday!! I would love to have a bag made out of that fabric!! Soo cute!! Happy Birthday Crystal. I can't wait to get my hohos! Happy Birthday! I hope you have a fantastic day with your family! Hope you have a wonderful birthday filled with lots of love. I still remember when I turned 31. My oldest daughter made it extra special for me !! No really, I would love to win a beautiful bag made by you! You have a true talent from the Lord! 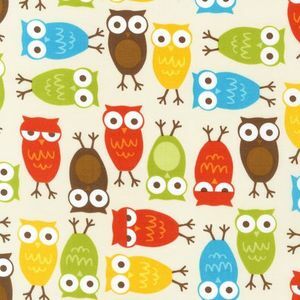 Love owls, this is cute fabric. I want wold peace. Oh well, on the real end..I want my daughter to have a safe and fun year in school. Oh and a snickers bar would be nice too. PS Happy Birthday! I hope you get what you want! Happy Birthday! Hope your day is fabulous! Happy Birthday. I hope it is the best ever! Adorable bag! Aww Happy Birthday!! Those are some cute fabrics!! Happy Birthday! Thank you for sharing on your birthday! Enjoy 31! It's lots of fun. Love the fabric. Thanks for giving us a chance to win! Happy Birthday! I hope that you have a wonderfully blessed day!! Happy Birthday! I LOVE those owls! Happy Birthday Crystal. I love your blog. I would be thrilled to win a bag with those fabrics. I work at a Pre-k and that could be my tote bag for this school year. Have a great day! Happy 31st Birthday! Hope you have a great day with your guys! Love the fabric, btw. Happy Birthday and super cute bag! Happy Birthday! (We call August the Birthday month: my dad, youngest sister, my oldest and youngest daughters, and loads of friends!). Cute cute fabric -- I love your work. your heart is so big! i hope you have a most wonderful birthday and enjoy the day just the way you want. Happy Birthday to you! I am 31 too and it is quite fun! I would LOVE a bag out of those fabrics made by you! How generous of you to offer us a gift on your birthday! Thank you! Enjoy! Well, Happy Birthday! I'll be 31 in March- it sure goes fast once the little people come along, doesn't it? My five year old girlie and I love to look at your blog, together! 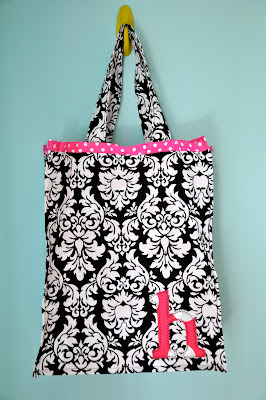 The bag is just adorable....I love the fabric!! Oooh-oooh! I'm keepin' my fingers crossed!!! So we can party too!!! Have a wonderful day, Crystal! I love your photobooth documentary, I am totally going to do this with my boys. 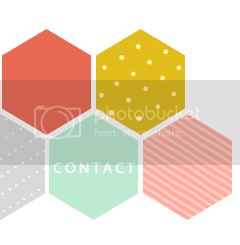 Your blog is so colorful! I love it! I also loooooove that bag! Happy Birthday!! Hope you get to do something extra special! Have a wonderful day Crystal! Happy birthday sweet girl! Hope your day is fantastic. The bag is aDORable! And a happy birthday to you!! I want to say Happy Birthday and I wish you a blessed next year! Happy Birthday!! You are so sweet! I love this fabric. It would make an adorable bag. Thanks for the opportunity to win! I love the polka dots and the owls! Oh oh oh!~ I would LOVE to have the cutest bag evah made from the cutest fabrics EVAH! I lurve owls! Happy Birthday! Just started reading you and love you already! Have a happy, happy, blissful birthday! 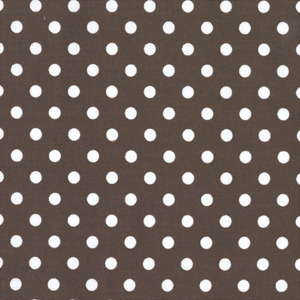 i heart polka dots! happy birthday to you!! First, Happy Birthday! Second, I love that owl fabric and have to win this! AWWW...I love the owls! Happy Birthday! I turned 35 this year and I feel ancient!!! Hope this birthday is extra special! Happy Birthday to you... How generous to give a gift! 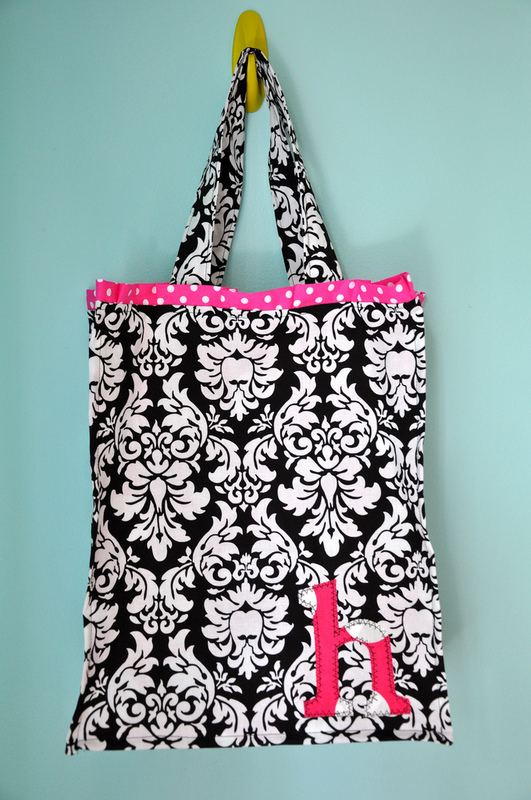 Love the fabric combos for the bag! i know i won't win, but i wanted to you wish you a happy birthday anyways!!! hope you have a great day!! Dying over that fabric. I'm new to your blog and spent my entire sunday (off and on) looking at your blog. IN LOVE WITH ALL YOU DO! Happy Happy Joy Joy ;) Happy Birthday to you! Today is my grandpa's birthday birthday too, yay! Mine is the 28th and I'll be the big 3-0 *insert hyperventilating noise here* tee hee. What a lovely bag and love that owl fabric, thanks for the chance...so sweet of you to give something away on your birthday. HAPPY HAPPY BIRTHDAY!!! And I would tell you that even if you weren't bribing us! ;-) Hope you have a wonderful day!!! Can't wait to see what you have up your sleeve in the next 31 years...your blog is very inpiring! What a great combo!! Polka dots and owls. You rock woman!! Happy birthday crafty lady! Hope you have a great day! Happy Birthday Crystal!! I hope you have a great day, you deserve it after all your hard hoho making work! Thanks for the cheeriness and Christ-like perspective you share with all of us! Crystal, Happy Birthday! I have to say you are one amazing person. I think you are so talented with your sewing, 20 minute Crafter, and your ability to show yourself in such a true sense. You put yourself out there for people to see. Your issues with homeschooing or public school was something women (mothers) feel all the time. What an inspiration to women everywhere. Can't wait to see what the next Julia project is. Happy Happy Birthday!! You are so cute and sweet. I hope you have one fabulous birthday! Crystal, Happy Birthday. I typed something, but I am not sure what happened, so if this is duplicated I apologize. I think you are an awesome woman. You are talented in ways that I can only dream of. I love your 20 minute crafting ideas, and your Julia spots. I was so blown away with your comments about Home schooling or public school, that it compelled me to write to you because I think you are a great parent. Keep helping all of us women out by continuing to be true to yourself, and a true woman...loving herself. Happy Birthday - welcome to 31 (I've been here a few months) -- LOVE that owl fabric - way cute choice! HAPPY BIRTHDAY! Hope it is a great one! HaPpY BiRtHdAy to one very creative lady! Happy Birthday! Hope you have a good day! I love that fabric! Happy Birthday and You Rock!!! 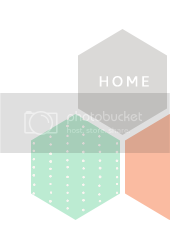 I love the blog, love the crafts, love the recipes:) Keep up the good work. Anivililut Tuutin! Quvainagli Inuinaq Qulit-Atausrik! Happy Birthday! Hope it's a really great day. Happy birthday! I hope you have a wonder-tastic day! <3 that owl print btw! HAPPY BIRTHDAY GIRL! If i win you'll be posting it to Hong Kong because my husband and I are leaving Ireland in 10 days to work with a mission there! Really hope you have a great day, your blog causes SO much discussion in our house and makes us think about how we'd raise our children if God blesses us with them in the future! Hope I win! 31 is a great year. All the 30's have been good to me so far, and I wish you lots of happiness this year too! Enjoy your day and year! You are so generous, I just love bags. OH & HAPPY BIRTHDAY:] I hope you have a wonderfull and blessed day. Happy Birthday! Today is my sister's birthday also. HAPPY birthday to YOU! enjoy your special day!! Happy, Happy Birthday to You! I hope you have a WONDERFUL day! And how absolutely generous of you to do a giveaway on your birthday! that means mine is exactly 4 months away! You are too much! That is sweet way to celebrate your 31st! I loooove owls these days and I may just need to special order a bag if I don't win! Happy Happy Day, praying sweet blessings for your 31st year! Happy Birthday to YOU! Oh my goodness - that owl fabric is adorable! Thanks for the giveaway! awesome fab choices. i'm completely enamored with owls! and funny thing about it is it turns out my late MIL (who passed when my husband and i were 6) was an owlaholic! hope your day's the most magical yet! Happy Birthday! It just warms my soul when someone is older than me, even by 3 months. ha! Cute fabric. Happy 31st birthday! May your next year be wonderfully blessed! Happy Birthday :) Your two boys are adorable! Happy Birthday! Hope you do something to make the day one to remember! I Love the Owls, so cute!! Happy Birthday. I hope it's the most wonderful day! Happy Birthday. I hope it is a day filled with lots of fun memories. What better way to celebrate than making someone's day. Happy Birthday! Today is also my son's birthday. That bag would be great to carry around all his stuff. Happy Brithday!!!! Hope you have a fabulous day!! 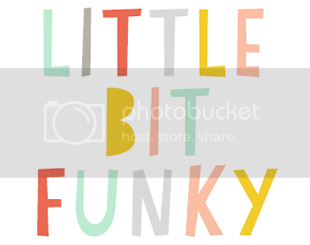 I really enjoy reading your blog and your wonderful crafty-ness! And your little HoHo reminds me so much of my Ethan (16 months old). Happiest of birthdays to you, Crystal! I hope you have an excellent celebration with all your guys. That owl fabric is too cute! happy birthday!!!!!!!!!! !hope you have a truly blessed day! Happy, happy birthday! May your day be filled with love, joy, and laughter! Happy Birthday - hope you have a great day! Of course I have to say, "HAPPY, HAPPY BIRTHDAY!" Hope it's one full of many blessings. Happy Birthday! I hope you have a great day! Thanks for the great giveaway! Seriously!!!! I would deineltey allow you to make me a very cute bag!!!! By the way, turning 31 is the coolest...seriously. I'm not 31 but I can only imagine how awesome it is!! :) Happy Birthday! I'm sure you'll have a great birthday with your family! No WAY you are 31! I had to re-read "It's my 31st Birthday" over and over for it to sink in! You look so much younger! And no I am not saying that just so you'll pick me to win, ha! I'm an entire adult older than you! Seriously, the best is yet to come. Happy Birthday to you! Happy Birthday to you! Happy Birthday dear Crystal! Happy Birthday to youuuuuuuuu! I hope you have a wonderful 31st birthday - I turned 31 this year too! Have a piece of cake with extra frosting! Happy Birthday!!! I really enjoy your blog, keep up the good writing. Happy Birthday. I just found your blog the other day and am really enjoying it. I need an evening to sit and read your whole preschool series. It looks great. I just started sewing and bought a small amt of the pink owl print to make my dtr a skirt. It would be cool to "match". Please PICK ME!!! Thank for your blog! It is so nice to read someone who has traditional Christian values. I love the bag and all of your quilts! I really want to learn to quilt! Oh my goodness! I love love love owls! I'm keeping my fingers crossed about this giveaway! Happy Birthday Crystal! Thank you for having such a wonderful blog! I look forward to each new post you do. Hope you had a fabulous day! How nice of you to do something for others on your birthday. Have a blessed one. Thank you. Those owls are stinkin' adorable! Happy Birthday! You have inspired me to quilt...although I am stalling on picking the fabrics! You are a very wise woman for the age of 31. When you get to be my age, there is no telling how much wisdom you will exude! Happy Birthday! I just discovered your blog not too long ago...so much inspiration. Thanks for sharing! How sweet of you. Hope your birthday is a hoot (sorry I couldn't help myself). I hope your birthday is fabulous!!! Those fabric choices are precious. Whoever wins will be one lucky lady indeed. Enjoy your special day! happy birthday! i love reading your blog. you have the best taste in fabric. happy birthday! hope the little guy is feeling better soon! maybe you can have a 'do-over' bday? I hope you've had a happy day and get to do something fun. Happy 31 years to you! Happy Birthday my dear! I wish you a year full of joy, contentment, laughter, a greater sense of peace in your skin, bliss, proseprity, love, a greater creative vein, and a constant desire to walk with Jesus! You are an amazing young woman Crystal. You are so very blessed in everything you touch. You are a beautiful wife and an incredible mother. Trust in these things and be content in what you have and accomplish. You are a leader and a mover and a shaker! you are not afraid to say what needs to be said, but you say it with integrity. You have some wonderful qualities missy! HAPPY HAPPY BIRTHDAY! I hope it's spectacular! You deserve it! Owls are my favorite (my friend bought me kitchen hand towels with owls on them and they are adorable!). I bet your family will find fun ways to show you how thankful they are for you. Enjoy your day, darlin'! ADORABLE Fabrics! I'm just now finding the owl love, not sure what took me so long! Happy Birthday, hope you have a blessed day! well happy birthday! i am so inspired by your work and your love for the Lord! Happy Birthday! I hope you feel loved and cherished today! HAPPY BIRTHDAY! I really love both of those fabrics, and what a gorgeous combination they will be. Where did you get the fabric from? I hope you have a great birthday, and would LOVE to win a new bag for "back to school"!! Hey, It's YOUR birthday and you're giving us something? You are outa this world!! HAPPY BIRTHDAY CRYSTAL! WE ALL LOVE YOU! I hope you have a wonderful day with your family. Keep being you on your blog - I love it and its what makes it so special. I still giggle when I think about your bat story!! Happy, Happy Birthday! I wish you a very blessed year to come! Happy Birthday!!! I would love a bag!!! You are oh too kind to be giving something away on your day! I love the bag whether I win or not, you have very cute taste! Hope you are having a fabulous birthday!! It's very sweet of you to have a giveaway......adorable fabric, too!! Happy Birthday! Love the owl fabric and the bag. Happy 31st Birthday!!! Thank you for hosting such a great giveaway. I have to say I love the owl print and I would absolutely love to win! Happy Happy Birthday. I love reading your blog and all about your adventures. I started making my very first quilt just recently as well. I can sew in straight lines! yay! You and your blog truly are a light in this bloggy world! Happy Birthday! What a fun bag that will be! love your blog and I always love a great giveaway! Happy Birthday to You! I love your blog! happy birthday, hope i win, love your blog! I'm eating ice cream and watching South Pacific from the Lincoln Center to celebrate your birthday. The French doors are open and there's a lovely breeze. I'm browsing my favorite blogs. Life is good. Happy birthday! I gotta say I'm dreading the big 3-0 next spring. :( Oh well! My niece is having her first birthday party in February and it's going to be an OWL party! So I would love the win this for her!!! Just found your blog the other day and I am totally hooked. Thank you for sharing your gifts and the joy of your family with us all! thank you for encouraging, inspiring, and most of all, convicting. thanks for your honesty, your beauty, and your creativity. thanks for using your talents for art and writing, and blending them beautifully with your faith--both the strengths and the weaknesses. thanks for your wisdom, your humor, and your insights. i pray that God will continue to use your voice to change this world, one blog post at a time. Happy Birthday Crystal! You inspire and encourage me. I am thankful that you share your world with us! How about Happy Birthday! Hope it was great! Happy Birthday! I want all of your stuff including that beautiful picture in the green frame to the right.BLessings! Happy Birthday, Crystal! Hope all those dreams of yours come true! Have a wonderful, wonderful day. May this year be YOUR year. happy day to you! what a cute bag! Happy belated birthday! You and all of your sewing projects rock! Thanks for the inspiration. Happy Birthday to you, Happy Birthday to you, Happy Birthday dear Crystal, Happy Birthday to you... It is better when my 3 1/2 year old daughter sings it. I hope that you have a wonderful day! Happy Birthday Mama! I hope your day is an amazing one, filled with lots of snuggles from those sweet lil guys of yours! !